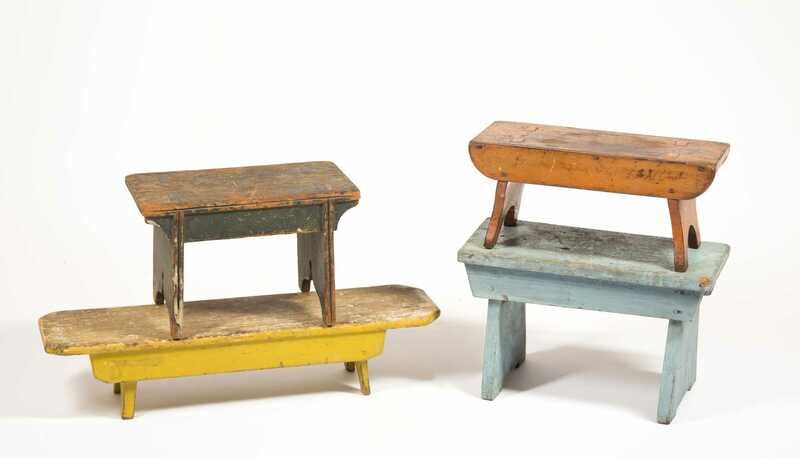 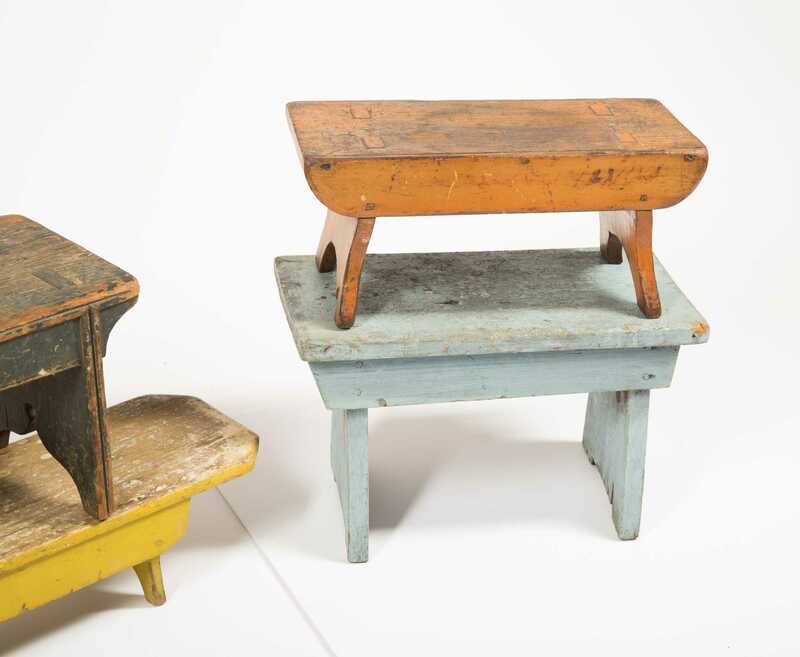 Four Painted Foot Stools, A) Blue painted stool 16 1/4" long x 9" x 9 3/4", E20thC. 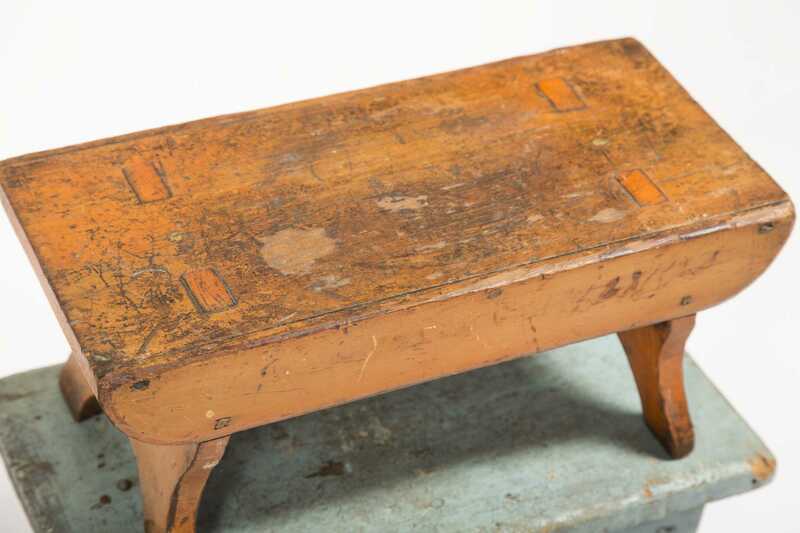 B) Orange painted stool with splay cut out legs, 15 1/2" x 7 1/4" x 7" tall, 19thC possibly New York state. 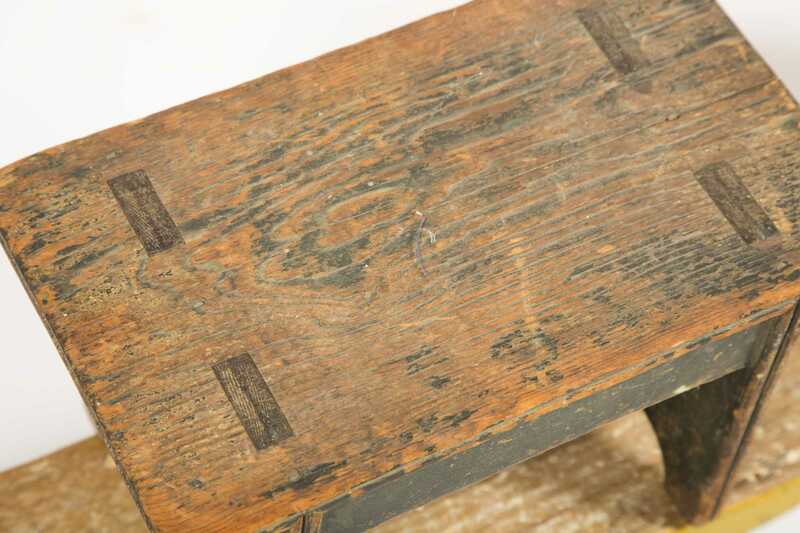 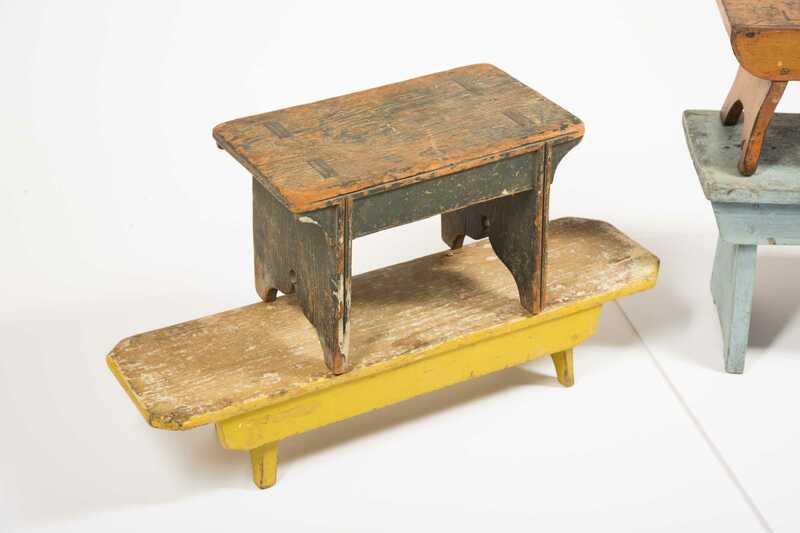 C) Lemon yellow painted stool, 19thC, top stripped. 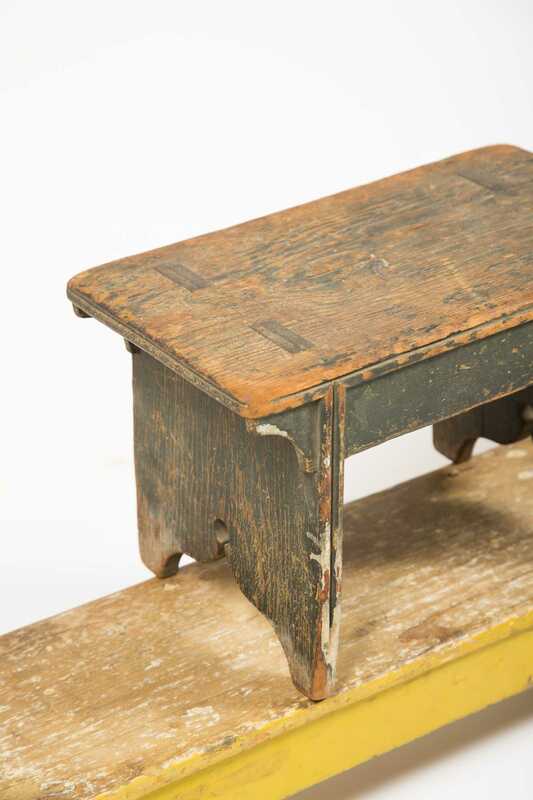 D) Green painted stool with grooved edges, 14" x 8 1/4" x 8 3/4" tall, E19thC, top worn.